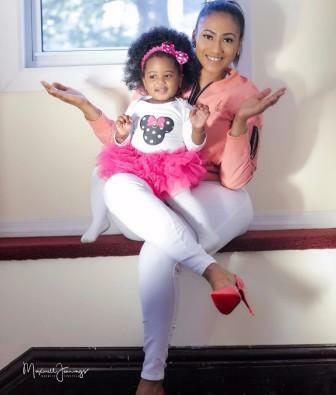 Home BIOGRAPHY HISTORY PHOTOS Hajia 4 Real Biography, Baby, Pictures, Instagram, Videos, Cars, Husband & Age. 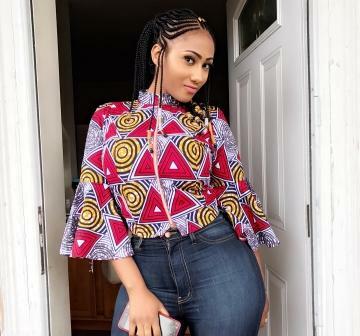 Hajia 4 Real Biography, Baby, Pictures, Instagram, Videos, Cars, Husband & Age. Being in charge of public relations for the Shatta Movement (SM) Empire, it is only natural to get accustomed or strike a friendship with people considered to be cherished followers of the movement as well as other key personalities involved in certain aspects of the operations and administration of the movement. 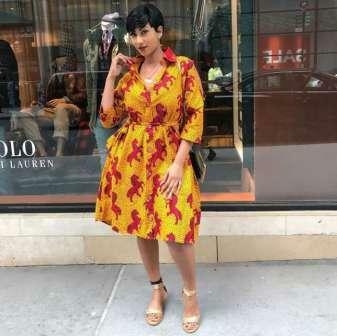 One of such persons is the popular Ghanaian socialite, Mona, known for her massive following on social media and widely known in showbiz circles as Hajia4Real. 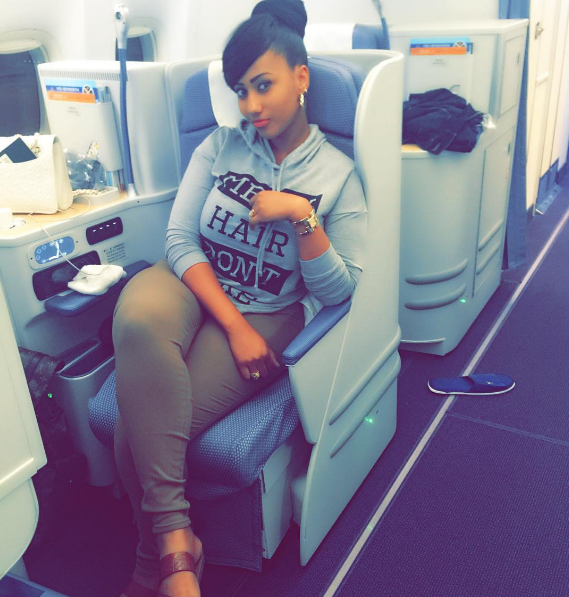 As a matter of fact, Hajia4Real has become a household name when it comes to the Ghanaian showbiz fraternity and needs no introduction. Born as Mona Montrage over two decades ago in the Northern part of Ghanaian, Tamale, to be precise, she can best be described as a free spirted human being, an example of a happy soul who will not compromise on her happiness for anything on the planet, at least not for now or the immediate future. About her family and childhood, Mona said “I am grateful for all the effort by my family in making me who I am today. My mother is a Ghanaian and my father is a Lebanese, born and raised in Ghana so technically I am a certified Ghanaian. Growing up in Tamale with my parents and siblings was quite exciting for me. I had my elementary education in Tamale and came down to Accra for my high school education. I attended Labone Senior Secondary School where I studied General Arts and that makes me a Losa, an old student of Labone”. After Labone, Mona enrolled at the Art Institute of New York in the United States of America for her college education. “At the Art Institute of New York, I opted for a course I was very passionate about, that is fashion and design. Fashion is something that comes to me effortlessly and I think I am natural in that space. My mother tells me about how I was very particular about how I looked whenever she was going out with me when I was in elementary school. I can safely say fashion is my craze”. About becoming a socialite, Mona recounted how she always made a fashion statement and made sure she wore the right attire which best matched her body. “The good thing is I know myself and I know the kind of outfits that makes me standout. I tried to be on point with the styles as well as the colours to any occasion. Soon, I was getting invitation to all the top events in town, be it for the music or movie industry or other corporate events. It appeared like I was everywhere because any outfit I wore to an event will be online with great comments and people will be looking out for the next outfit”. Mona who spends most of her time now in the United States and is currently engaged to a New York based business mogul whom she has a pretty daughter with. According to her, “I am at a point in my live where all that matters is my family, how to support my man in whatever he does to ensure we always have a happy home. I feel this is a very happy time for me as a person before a mother and a business woman. Being a mother has opened me up to a totally new world and has changed my perception about a lot of things. I think I appreciate my mother more now and I have become more of an emotional person. My daughter and my family means a lot to me and they come before any other thing”. Mona is the Chief Executive Officer (CEO) of LVC Entertainment, an event and entertainment solutions company based in New York with special focus on event planning and execution, logistics, multimedia production and talent management. She is hoping to expand the operation of the company to Ghana in the coming year to benefit more people back home. “Apart from events and entertainment, I have plans of setting up a lifestyle brand in Ghana with products targeting every lady across the country. I am optimistic this will be done before the end of the year”, she added.